Kate currently works from the Boxgrove Clinic on Wednesdays. This clinic is located down a little drive signposted “The Old Granary” opposite the village hall. You can usually see sheep (and occasionally donkeys) in the field adjacent to the drive! The site has cafe/juice bar and great facilities. Take the A285 exit from the A27 and on entering the village of Boxgrove turn right onto The St. 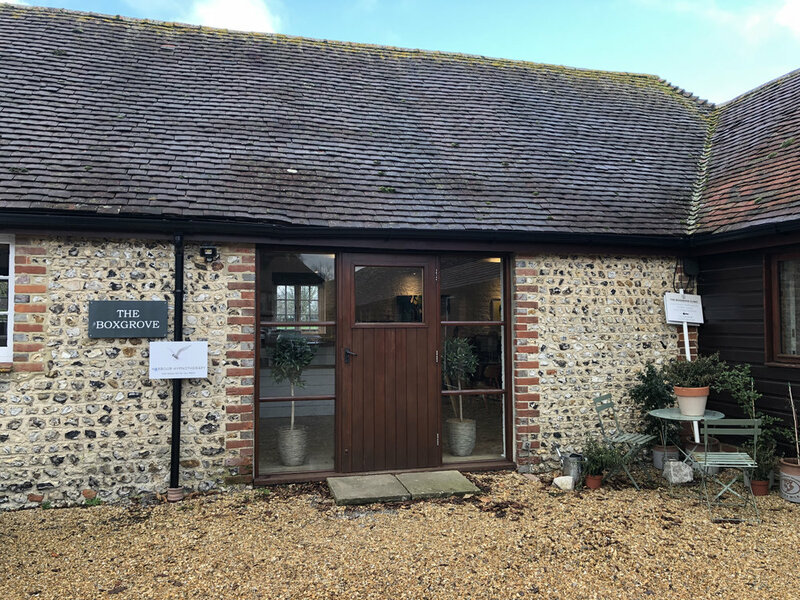 The Boxgrove Clinic is down a little lane opposite Boxgrove Village Hall.